Happy Thanksgiving! It is my favorite holiday and I have so much to be thankful for this year! I love being with family and friends and the food is great. Being that today is Thanksgiving, I hope you have your shopping done. 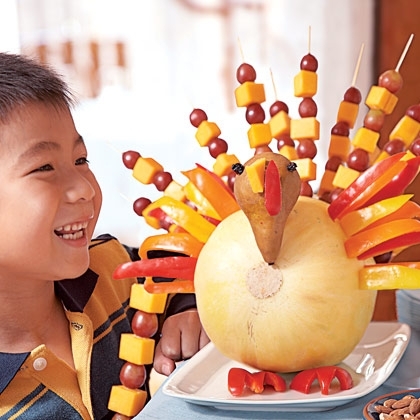 Just in case you are in a pinch for an appetizer that will turn heads, try a Fruit Kabob Turkey Appetizer!